Presently, one-quarter of the world's population is thought to be infected with TB. New infections occur in about 1% of the population each year. In 2017, there were more than 10 million cases of active TB which resulted in 1.6 million deaths. This makes it the number one cause of death from an infectious disease. More than 95% of deaths occurred in developing countries, and more than 50% in India, China, Indonesia, Pakistan, and the Philippines. The number of new cases each year has decreased since 2000. About 80% of people in many Asian and African countries test positive while 5–10% of people in the United States population test positive by the tuberculin test. Tuberculosis has been present in humans since ancient times. 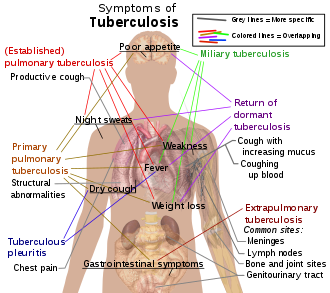 The main symptoms of variants and stages of tuberculosis are given, with many symptoms overlapping with other variants, while others are more (but not entirely) specific for certain variants. Multiple variants may be present simultaneously. 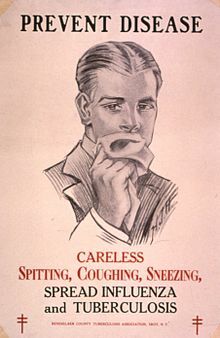 Public health campaigns in the 1920s tried to halt the spread of TB. Latent TB is treated with either isoniazid alone, or a combination of isoniazid with either rifampicin or rifapentine. The treatment takes at least three months. People with latent infections are treated to prevent them from progressing to active TB disease later in life. Age-standardized disability-adjusted life years caused by tuberculosis per 100,000 inhabitants in 2004. In 2007, the number of cases of TB per 100,000 people was highest in sub-Saharan Africa, and was also relatively high in Asia. Roughly one-quarter of the world's population has been infected with M. tuberculosis, with new infections occurring in about 1% of the population each year. However, most infections with M. tuberculosis do not cause TB disease, and 90–95% of infections remain asymptomatic. In 2012, an estimated 8.6 million chronic cases were active. In 2010, 8.8 million new cases of TB were diagnosed, and 1.20–1.45 million deaths occurred, most of these occurring in developing countries. Of these 1.45 million deaths, about 0.35 million occur in those also infected with HIV. The rate of TB varies with age. In Africa, it primarily affects adolescents and young adults. However, in countries where incidence rates have declined dramatically (such as the United States), TB is mainly a disease of older people and the immunocompromised (risk factors are listed above). Worldwide, 22 "high-burden" states or countries together experience 80% of cases as well as 83% of deaths. 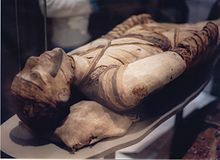 Egyptian mummy in the British Museum – tubercular decay has been found in the spine. Tuberculosis has existed since antiquity. The oldest unambiguously detected M. tuberculosis gives evidence of the disease in the remains of bison in Wyoming dated to around 17,000 years ago. However, whether tuberculosis originated in bovines, then transferred to humans, or whether both bovine and human tuberculosis diverged from a common ancestor, remains unclear. A comparison of the genes of M. tuberculosis complex (MTBC) in humans to MTBC in animals suggests humans did not acquire MTBC from animals during animal domestication, as researchers previously believed. Both strains of the tuberculosis bacteria share a common ancestor, which could have infected humans even before the Neolithic Revolution. Skeletal remains show some prehistoric humans (4000 BC) had TB, and researchers have found tubercular decay in the spines of Egyptian mummies dating from 3000 to 2400 BC. Genetic studies suggest the presence of TB in the Americas from about 100 AD. Before the Industrial Revolution, folklore often associated tuberculosis with vampires. When one member of a family died from the disease, the other infected members would lose their health slowly. People believed this was caused by the original person with TB draining the life from the other family members. Although Richard Morton established the pulmonary form associated with tubercles as a pathology in 1689, due to the variety of its symptoms, TB was not identified as a single disease until the 1820s. J. L. Schönlein coined the name "tuberculosis" in 1839. Between 1838 and 1845, Dr. John Croghan, the owner of Mammoth Cave in Kentucky from 1839 onwards, brought a number of people with tuberculosis into the cave in the hope of curing the disease with the constant temperature and purity of the cave air; each died within a year. Hermann Brehmer opened the first TB sanatorium in 1859 in Görbersdorf (now Sokołowsko) in Silesia. 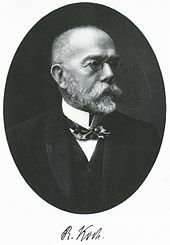 Robert Koch discovered the tuberculosis bacillus. Robert Koch identified and described the bacillus causing tuberculosis, M. tuberculosis, on 24 March 1882. He received the Nobel Prize in physiology or medicine in 1905 for this discovery. Koch did not believe the cattle and human tuberculosis diseases were similar, which delayed the recognition of infected milk as a source of infection. During the first half of the 1900s the risk of transmission from this source was dramatically reduced after the application of the pasteurization process. 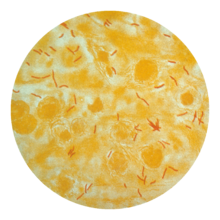 Koch announced a glycerine extract of the tubercle bacilli as a "remedy" for tuberculosis in 1890, calling it "tuberculin". While it was not effective, it was later successfully adapted as a screening test for the presence of pre-symptomatic tuberculosis. World Tuberculosis Day is marked on 24 March each year, the anniversary of Koch's original scientific announcement. Albert Calmette and Camille Guérin achieved the first genuine success in immunization against tuberculosis in 1906, using attenuated bovine-strain tuberculosis. It was called bacille Calmette–Guérin (BCG). The BCG vaccine was first used on humans in 1921 in France, but achieved widespread acceptance in the US, Great Britain, and Germany only after World War II. Tuberculosis caused widespread public concern in the 19th and early 20th centuries as the disease became common among the urban poor. In 1815 one in four deaths in England was due to "consumption". By 1918, TB still caused one in six deaths in France. After TB was determined to be contagious, in the 1880s, it was put on a notifiable-disease list in Britain; campaigns started to stop people from spitting in public places, and the infected poor were "encouraged" to enter sanatoria that resembled prisons (the sanatoria for the middle and upper classes offered excellent care and constant medical attention). Whatever the benefits of the "fresh air" and labor in the sanatoria, even under the best conditions, 50% of those who entered died within five years (c. 1916). When the Medical Research Council formed in Britain in 1913, it initially focused on tuberculosis research. In Europe, rates of tuberculosis began to rise in the early 1600s to a peak level in the 1800s, when it caused nearly 25% of all deaths. By the 1950s mortality in Europe had decreased about 90%. Improvements in sanitation, vaccination, and other public-health measures began significantly reducing rates of tuberculosis even before the arrival of streptomycin and other antibiotics, although the disease remained a significant threat. In 1946 the development of the antibiotic streptomycin made effective treatment and cure of TB a reality. Prior to the introduction of this medication, the only treatment was surgical intervention, including the "pneumothorax technique", which involved collapsing an infected lung to "rest" it and to allow tuberculous lesions to heal. Because of the emergence of MDR-TB, surgery has been re-introduced for certain cases of TB infections. It involves the removal of infected chest cavities ("bullae") in the lungs to reduce the number of bacteria and to increase exposure of the remaining bacteria to antibiotics in the bloodstream. Hopes of completely eliminating TB ended with the rise of drug-resistant strains in the 1980s. The subsequent resurgence of tuberculosis resulted in the declaration of a global health emergency by the World Health Organization in 1993. 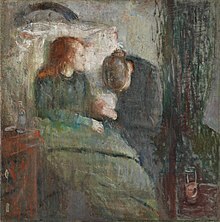 Painting The Sick Child by Edvard Munch, 1885–86, depicts the illness of his sister Sophie, who died of tuberculosis when Edvard was 14; his mother too died of the disease. Tuberculosis was for centuries associated with poetic and artistic qualities among those infected, and was also known as "the romantic disease". Major artistic figures such as the poets John Keats, Percy Bysshe Shelley, and Edgar Allan Poe, the composer Frédéric Chopin, the playwright Anton Chekhov, the novelists Franz Kafka, Katherine Mansfield, Charlotte Brontë, Fyodor Dostoevsky, Thomas Mann, W. Somerset Maugham, George Orwell, and Robert Louis Stevenson, and the artists Alice Neel, Jean-Antoine Watteau, Elizabeth Siddal, Marie Bashkirtseff, Edvard Munch, Aubrey Beardsley and Amedeo Modigliani either had the disease or were surrounded by people who did. A widespread belief was that tuberculosis assisted artistic talent. Physical mechanisms proposed for this effect included the slight fever and toxaemia that it caused, allegedly helping them to see life more clearly and to act decisively. Stigma towards TB may result in delays in seeking treatment, lower treatment compliance, and family members keeping cause of death secret – allowing the disease to spread further. In contrast, in Russia stigma was associated with increased treatment compliance. TB stigma also affects socially marginalized individuals to a greater degree and varies between regions. As of 2015[update], tuberculosis appears to be widespread among captive elephants in the US. It is believed that the animals originally acquired the disease from humans, a process called reverse zoonosis. Because the disease can spread through the air to infect both humans and other animals, it is a public health concern affecting circuses and zoos. ^ a b c d e f g h i j k l m n o p "Tuberculosis Fact sheet N°104". WHO. October 2015. Archived from the original on 23 August 2012. Retrieved 11 February 2016. ^ Ferri, Fred F. (2010). Ferri's differential diagnosis : a practical guide to the differential diagnosis of symptoms, signs, and clinical disorders (2nd ed.). Philadelphia, PA: Elsevier/Mosby. p. Chapter T. ISBN 978-0-323-07699-9. ^ a b Hawn TR, Day TA, Scriba TJ, Hatherill M, Hanekom WA, Evans TG, Churchyard GJ, Kublin JG, Bekker LG, Self SG (December 2014). "Tuberculosis vaccines and prevention of infection". Microbiology and Molecular Biology Reviews. 78 (4): 650–71. doi:10.1128/MMBR.00021-14. PMC 4248657. PMID 25428938. ^ a b c Organization, World Health (2008). Implementing the WHO Stop TB Strategy: a handbook for national TB control programmes. Geneva: World Health Organization. p. 179. ISBN 978-92-4-154667-6. ^ a b Harris, Randall E. (2013). Epidemiology of chronic disease: global perspectives. Burlington, MA: Jones & Bartlett Learning. p. 682. ISBN 978-0-7637-8047-0. ^ a b c "Tuberculosis (TB)". World Health Organization. 16 February 2018. Retrieved 15 September 2018. ^ a b c d "Global tuberculosis report". World Health Organization. Retrieved 9 November 2017. ^ a b The Chambers Dictionary. New Delhi: Allied Chambers India Ltd. 1998. p. 352. ISBN 978-81-86062-25-8. Archived from the original on 6 September 2015. ^ "Basic TB Facts". CDC. 13 March 2012. Archived from the original on 6 February 2016. Retrieved 11 February 2016. ^ a b Konstantinos A (2010). "Testing for tuberculosis". Australian Prescriber. 33 (1): 12–18. doi:10.18773/austprescr.2010.005. Archived from the original on 4 August 2010. ^ a b "Tuberculosis". World Health Organization. 2002. Archived from the original on 17 June 2013. ^ a b c d e f g h i j k l m n o Kumar V, Abbas AK, Fausto N, Mitchell RN (2007). Robbins Basic Pathology (8th ed.). Saunders Elsevier. pp. 516–22. ISBN 978-1-4160-2973-1. ^ a b c d e f g h i j k l m n o p q r s t u v Lawn SD, Zumla AI (July 2011). "Tuberculosis". Lancet. 378 (9785): 57–72. doi:10.1016/S0140-6736(10)62173-3. PMID 21420161. ^ Schiffman, G (15 January 2009). "Tuberculosis Symptoms". eMedicine Health. Archived from the original on 16 May 2009. ^ Behera, D. (2010). Textbook of Pulmonary Medicine (2nd ed.). New Delhi: Jaypee Brothers Medical Publishers. p. 457. ISBN 978-81-8448-749-7. Archived from the original on 6 September 2015. ^ Halezeroğlu S, Okur E (March 2014). "Thoracic surgery for haemoptysis in the context of tuberculosis: what is the best management approach?". Journal of Thoracic Disease. 6 (3): 182–85. doi:10.3978/j.issn.2072-1439.2013.12.25. PMC 3949181. PMID 24624281. ^ a b Golden MP, Vikram HR (November 2005). "Extrapulmonary tuberculosis: an overview". American Family Physician. 72 (9): 1761–68. PMID 16300038. ^ Southwick F (2007). "Chapter 4: Pulmonary Infections". Infectious Diseases: A Clinical Short Course, 2nd ed. McGraw-Hill Medical Publishing Division. pp. 104, 313–14. ISBN 978-0-07-147722-2. ^ Niederweis M, Danilchanka O, Huff J, Hoffmann C, Engelhardt H (March 2010). "Mycobacterial outer membranes: in search of proteins". Trends in Microbiology. 18 (3): 109–16. doi:10.1016/j.tim.2009.12.005. PMC 2931330. PMID 20060722. ^ a b Madison BM (May 2001). "Application of stains in clinical microbiology". Biotechnic & Histochemistry. 76 (3): 119–25. doi:10.1080/714028138. PMID 11475314. ^ Parish T, Stoker NG (December 1999). "Mycobacteria: bugs and bugbears (two steps forward and one step back)". Molecular Biotechnology. 13 (3): 191–200. doi:10.1385/MB:13:3:191. PMID 10934532. ^ Medical Laboratory Science: Theory and Practice. New Delhi: Tata McGraw-Hill. 2000. p. 473. ISBN 978-0-07-463223-9. Archived from the original on 6 September 2015. ^ "Acid-Fast Stain Protocols". 21 August 2013. Archived from the original on 1 October 2011. Retrieved 26 March 2016. ^ Kommareddi S, Abramowsky CR, Swinehart GL, Hrabak L (November 1984). 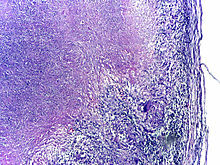 "Nontuberculous mycobacterial infections: comparison of the fluorescent auramine-O and Ziehl-Neelsen techniques in tissue diagnosis". Human Pathology. 15 (11): 1085–89. doi:10.1016/S0046-8177(84)80253-1. PMID 6208117. ^ van Lettow, Monique; Whalen, Christopher (2008). Nutrition and health in developing countries (2nd ed.). Totowa, N.J. (Richard D. Semba and Martin W. Bloem, eds. ): Humana Press. p. 291. ISBN 978-1-934115-24-4. Archived from the original on 6 September 2015. ^ van Soolingen D, Hoogenboezem T, de Haas PE, Hermans PW, Koedam MA, Teppema KS, Brennan PJ, Besra GS, Portaels F, Top J, Schouls LM, van Embden JD (October 1997). "A novel pathogenic taxon of the Mycobacterium tuberculosis complex, Canetti: characterization of an exceptional isolate from Africa". International Journal of Systematic Bacteriology. 47 (4): 1236–45. doi:10.1099/00207713-47-4-1236. PMID 9336935. ^ Niemann S, Rüsch-Gerdes S, Joloba ML, Whalen CC, Guwatudde D, Ellner JJ, Eisenach K, Fumokong N, Johnson JL, Aisu T, Mugerwa RD, Okwera A, Schwander SK (September 2002). 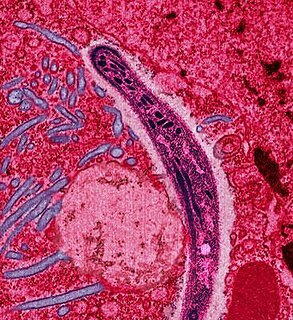 "Mycobacterium africanum subtype II is associated with two distinct genotypes and is a major cause of human tuberculosis in Kampala, Uganda". Journal of Clinical Microbiology. 40 (9): 3398–405. doi:10.1128/JCM.40.9.3398-3405.2002. PMC 130701. PMID 12202584. ^ Niobe-Eyangoh SN, Kuaban C, Sorlin P, Cunin P, Thonnon J, Sola C, Rastogi N, Vincent V, Gutierrez MC (June 2003). "Genetic biodiversity of Mycobacterium tuberculosis complex strains from patients with pulmonary tuberculosis in Cameroon". Journal of Clinical Microbiology. 41 (6): 2547–53. doi:10.1128/JCM.41.6.2547-2553.2003. PMC 156567. PMID 12791879. ^ Thoen C, Lobue P, de Kantor I (February 2006). "The importance of Mycobacterium bovis as a zoonosis". Veterinary Microbiology. 112 (2–4): 339–45. doi:10.1016/j.vetmic.2005.11.047. PMID 16387455. ^ Acton, Q. Ashton (2011). Mycobacterium Infections: New Insights for the Healthcare Professional. ScholarlyEditions. p. 1968. ISBN 978-1-4649-0122-5. Archived from the original on 6 September 2015. ^ Pfyffer GE, Auckenthaler R, van Embden JD, van Soolingen D (October – December 1998). "Mycobacterium canettii, the smooth variant of M. tuberculosis, isolated from a Swiss patient exposed in Africa". Emerging Infectious Diseases. 4 (4): 631–34. doi:10.3201/eid0404.980414. PMC 2640258. PMID 9866740. ^ Panteix G, Gutierrez MC, Boschiroli ML, Rouviere M, Plaidy A, Pressac D, Porcheret H, Chyderiotis G, Ponsada M, Van Oortegem K, Salloum S, Cabuzel S, Bañuls AL, Van de Perre P, Godreuil S (August 2010). "Pulmonary tuberculosis due to Mycobacterium microti: a study of six recent cases in France". Journal of Medical Microbiology. 59 (Pt 8): 984–89. doi:10.1099/jmm.0.019372-0. PMID 20488936. ^ American Thoracic Society (August 1997). "Diagnosis and treatment of disease caused by nontuberculous mycobacteria. This official statement of the American Thoracic Society was approved by the Board of Directors, March 1997. Medical Section of the American Lung Association". American Journal of Respiratory and Critical Care Medicine. 156 (2 Pt 2): S1–25. doi:10.1164/ajrccm.156.2.atsstatement. PMID 9279284. ^ a b c World Health Organization (2011). "The sixteenth global report on tuberculosis" (PDF). Archived from the original (PDF) on 6 September 2012. ^ World Health Organization. "Global tuberculosis control–surveillance, planning, financing WHO Report 2006". Archived from the original on 12 December 2006. Retrieved 13 October 2006. ^ Chaisson RE, Martinson NA (March 2008). "Tuberculosis in Africa – combating an HIV-driven crisis". The New England Journal of Medicine. 358 (11): 1089–92. doi:10.1056/NEJMp0800809. PMID 18337598. ^ Griffith DE, Kerr CM (August 1996). "Tuberculosis: disease of the past, disease of the present". Journal of Perianesthesia Nursing. 11 (4): 240–45. doi:10.1016/S1089-9472(96)80023-2. PMID 8964016. ^ "Targeted tuberculin testing and treatment of latent tuberculosis infection. American Thoracic Society". MMWR. Recommendations and Reports. 49 (RR-6): 1–51. June 2000. PMID 10881762. Archived from the original on 17 December 2004. ^ van Zyl Smit RN, Pai M, Yew WW, Leung CC, Zumla A, Bateman ED, Dheda K (January 2010). "Global lung health: the colliding epidemics of tuberculosis, tobacco smoking, HIV and COPD". The European Respiratory Journal. 35 (1): 27–33. doi:10.1183/09031936.00072909. PMC 5454527. PMID 20044459. These analyses indicate that smokers are almost twice as likely to be infected with TB and to progress to active disease (RR of about 1.5 for latent TB infection (LTBI) and RR of ∼2.0 for TB disease). Smokers are also twice as likely to die from TB (RR of about 2.0 for TB mortality), but data are difficult to interpret because of heterogeneity in the results across studies. ^ Restrepo BI (August 2007). "Convergence of the tuberculosis and diabetes epidemics: renewal of old acquaintances". Clinical Infectious Diseases. 45 (4): 436–38. doi:10.1086/519939. PMC 2900315. PMID 17638190. ^ Möller M, Hoal EG (March 2010). "Current findings, challenges and novel approaches in human genetic susceptibility to tuberculosis". Tuberculosis. 90 (2): 71–83. doi:10.1016/j.tube.2010.02.002. PMID 20206579. ^ Nicas M, Nazaroff WW, Hubbard A (March 2005). "Toward understanding the risk of secondary airborne infection: emission of respirable pathogens". Journal of Occupational and Environmental Hygiene. 2 (3): 143–54. doi:10.1080/15459620590918466. PMID 15764538. ^ a b Ahmed N, Hasnain SE (September 2011). "Molecular epidemiology of tuberculosis in India: moving forward with a systems biology approach". Tuberculosis. 91 (5): 407–13. doi:10.1016/j.tube.2011.03.006. PMID 21514230. ^ a b "Tuberculosis Fact sheet N°104". World Health Organization. November 2010. Archived from the original on 4 October 2006. Retrieved 26 July 2011. ^ a b "Core Curriculum on Tuberculosis: What the Clinician Should Know" (PDF) (5th ed.). Centers for Disease Control and Prevention (CDC), Division of Tuberculosis Elimination. 2011. p. 24. Archived (PDF) from the original on 19 May 2012. ^ "Causes of Tuberculosis". Mayo Clinic. 21 December 2006. Archived from the original on 18 October 2007. Retrieved 19 October 2007. ^ a b Skolnik, Richard (2011). Global health 101 (2nd ed.). Burlington, MA: Jones & Bartlett Learning. p. 253. ISBN 978-0-7637-9751-5. Archived from the original on 6 September 2015. ^ a b editors, Arch G. Mainous III, Claire Pomeroy (2009). Management of antimicrobials in infectious diseases: impact of antibiotic resistance (2nd rev. ed.). Totowa, NJ: Humana Press. p. 74. ISBN 978-1-60327-238-4. Archived from the original on 6 September 2015. ^ Houben EN, Nguyen L, Pieters J (February 2006). "Interaction of pathogenic mycobacteria with the host immune system". Current Opinion in Microbiology. 9 (1): 76–85. doi:10.1016/j.mib.2005.12.014. PMID 16406837. ^ Queval CJ, Brosch R, Simeone R (2017). 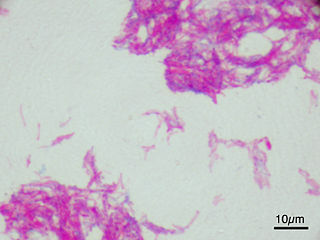 "Mycobacterium tuberculosis". Frontiers in Microbiology. 8: 2284. doi:10.3389/fmicb.2017.02284. PMC 5703847. PMID 29218036. ^ Khan (2011). Essence of Paediatrics. Elsevier India. p. 401. ISBN 978-81-312-2804-3. Archived from the original on 6 September 2015. ^ Herrmann JL, Lagrange PH (February 2005). "Dendritic cells and Mycobacterium tuberculosis: which is the Trojan horse?". Pathologie-Biologie. 53 (1): 35–40. doi:10.1016/j.patbio.2004.01.004. PMID 15620608. ^ Agarwal R, Malhotra P, Awasthi A, Kakkar N, Gupta D (April 2005). "Tuberculous dilated cardiomyopathy: an under-recognized entity?". BMC Infectious Diseases. 5 (1): 29. doi:10.1186/1471-2334-5-29. PMC 1090580. PMID 15857515. ^ John Mason Good; Samuel Cooper; Augustus Sidney Doane (1835). The Study of Medicine. Harper. p. 32. Archived from the original on 10 August 2016. ^ a b c d Grosset J (March 2003). "Mycobacterium tuberculosis in the extracellular compartment: an underestimated adversary". Antimicrobial Agents and Chemotherapy. 47 (3): 833–36. doi:10.1128/AAC.47.3.833-836.2003. PMC 149338. PMID 12604509. ^ Bozzano F, Marras F, De Maria A (2014). "Immunology of tuberculosis". Mediterranean Journal of Hematology and Infectious Diseases. 6 (1): e2014027. doi:10.4084/MJHID.2014.027. PMC 4010607. PMID 24804000. ^ Crowley, Leonard V. (2010). An introduction to human disease: pathology and pathophysiology correlations (8th ed.). Sudbury, MA: Jones and Bartlett. p. 374. ISBN 978-0-7637-6591-0. Archived from the original on 6 September 2015. ^ Anthony, Harries (2005). TB/HIV a Clinical Manual (2nd ed.). Geneva: World Health Organization. p. 75. ISBN 978-92-4-154634-8. Archived from the original on 6 September 2015. ^ Jacob JT, Mehta AK, Leonard MK (January 2009). "Acute forms of tuberculosis in adults". The American Journal of Medicine. 122 (1): 12–17. doi:10.1016/j.amjmed.2008.09.018. PMID 19114163. ^ a b Bento J, Silva AS, Rodrigues F, Duarte R (January – February 2011). "[Diagnostic tools in tuberculosis]". Acta Medica Portuguesa. 24 (1): 145–54. PMID 21672452. ^ a b c d Escalante P (June 2009). "In the clinic. Tuberculosis". Annals of Internal Medicine. 150 (11): ITC61–614, quiz ITV616. doi:10.7326/0003-4819-150-11-200906020-01006. PMID 19487708. ^ Metcalfe JZ, Everett CK, Steingart KR, Cattamanchi A, Huang L, Hopewell PC, Pai M (November 2011). "Interferon-γ release assays for active pulmonary tuberculosis diagnosis in adults in low- and middle-income countries: systematic review and meta-analysis". The Journal of Infectious Diseases. 204 Suppl 4 (suppl_4): S1120–29. doi:10.1093/infdis/jir410. PMC 3192542. PMID 21996694. ^ a b Sester M, Sotgiu G, Lange C, Giehl C, Girardi E, Migliori GB, Bossink A, Dheda K, Diel R, Dominguez J, Lipman M, Nemeth J, Ravn P, Winkler S, Huitric E, Sandgren A, Manissero D (January 2011). "Interferon-γ release assays for the diagnosis of active tuberculosis: a systematic review and meta-analysis". The European Respiratory Journal. 37 (1): 100–11. doi:10.1183/09031936.00114810. PMID 20847080. ^ Chen J, Zhang R, Wang J, Liu L, Zheng Y, Shen Y, Qi T, Lu H (2011). Vermund SH (ed.). "Interferon-gamma release assays for the diagnosis of active tuberculosis in HIV-infected patients: a systematic review and meta-analysis". PLOS One. 6 (11): e26827. doi:10.1371/journal.pone.0026827. PMC 3206065. PMID 22069472. ^ Diseases, Special Programme for Research & Training in Tropical (2006). Diagnostics for tuberculosis: global demand and market potential. Geneva: World Health Organization on behalf of the Special Programme for Research and Training in Tropical Diseases. p. 36. ISBN 978-92-4-156330-7. Archived from the original on 6 September 2015. ^ Steingart KR, Flores LL, Dendukuri N, Schiller I, Laal S, Ramsay A, Hopewell PC, Pai M (August 2011). Evans C (ed.). "Commercial serological tests for the diagnosis of active pulmonary and extrapulmonary tuberculosis: an updated systematic review and meta-analysis". PLoS Medicine. 8 (8): e1001062. doi:10.1371/journal.pmed.1001062. PMC 3153457. PMID 21857806. ^ Rothel JS, Andersen P (December 2005). "Diagnosis of latent Mycobacterium tuberculosis infection: is the demise of the Mantoux test imminent?". Expert Review of Anti-Infective Therapy. 3 (6): 981–93. doi:10.1586/14787210.3.6.981. PMID 16307510. ^ Pai M, Zwerling A, Menzies D (August 2008). "Systematic review: T-cell-based assays for the diagnosis of latent tuberculosis infection: an update". Annals of Internal Medicine. 149 (3): 177–84. doi:10.7326/0003-4819-149-3-200808050-00241. PMC 2951987. PMID 18593687. ^ Amicosante M, Ciccozzi M, Markova R (April 2010). "Rational use of immunodiagnostic tools for tuberculosis infection: guidelines and cost effectiveness studies". The New Microbiologica. 33 (2): 93–107. PMID 20518271. ^ Bibbins-Domingo K, Grossman DC, Curry SJ, Bauman L, Davidson KW, Epling JW, García FA, Herzstein J, Kemper AR, Krist AH, Kurth AE, Landefeld CS, Mangione CM, Phillips WR, Phipps MG, Pignone MP (September 2016). "Screening for Latent Tuberculosis Infection in Adults: US Preventive Services Task Force Recommendation Statement". JAMA. 316 (9): 962–69. doi:10.1001/jama.2016.11046. PMID 27599331. ^ McShane H (October 2011). "Tuberculosis vaccines: beyond bacille Calmette-Guerin". Philosophical Transactions of the Royal Society of London. Series B, Biological Sciences. 366 (1579): 2782–89. doi:10.1098/rstb.2011.0097. PMC 3146779. PMID 21893541. ^ Roy A, Eisenhut M, Harris RJ, Rodrigues LC, Sridhar S, Habermann S, Snell L, Mangtani P, Adetifa I, Lalvani A, Abubakar I (August 2014). "Effect of BCG vaccination against Mycobacterium tuberculosis infection in children: systematic review and meta-analysis". BMJ. 349: g4643. doi:10.1136/bmj.g4643. PMC 4122754. PMID 25097193. ^ "Vaccine and Immunizations: TB Vaccine (BCG)". Centers for Disease Control and Prevention. 2011. Archived from the original on 17 November 2011. Retrieved 26 July 2011. ^ "BCG Vaccine Usage in Canada – Current and Historical". Public Health Agency of Canada. September 2010. Archived from the original on 30 March 2012. Retrieved 30 December 2011. ^ a b Teo SS, Shingadia DV (June 2006). "Does BCG have a role in tuberculosis control and prevention in the United Kingdom?". Archives of Disease in Childhood. 91 (6): 529–31. doi:10.1136/adc.2005.085043. PMC 2082765. PMID 16714729. ^ "The Global Plan to Stop TB". World Health Organization. 2011. Archived from the original on 12 June 2011. Retrieved 13 June 2011. ^ Brennan PJ, Nikaido H (1995). "The envelope of mycobacteria". Annual Review of Biochemistry. 64: 29–63. doi:10.1146/annurev.bi.64.070195.000333. PMID 7574484. ^ a b Latent tuberculosis infection. World Health Organization. 2018. p. 23. ISBN 978-92-4-155023-9. ^ Borisov, AS; Bamrah Morris, S; Njie, GJ; Winston, CA; Burton, D; Goldberg, S; Yelk Woodruff, R; Allen, L; LoBue, P; Vernon, A (29 June 2018). "Update of Recommendations for Use of Once-Weekly Isoniazid-Rifapentine Regimen to Treat Latent Mycobacterium tuberculosis Infection". MMWR. Morbidity and Mortality Weekly Report. 67 (25): 723–26. doi:10.15585/mmwr.mm6725a5. PMC 6023184. PMID 29953429. ^ Njie, GJ; Morris, SB; Woodruff, RY; Moro, RN; Vernon, AA; Borisov, AS (August 2018). "Isoniazid-Rifapentine for Latent Tuberculosis Infection: A Systematic Review and Meta-analysis". American Journal of Preventive Medicine. 55 (2): 244–52. doi:10.1016/j.amepre.2018.04.030. PMC 6097523. PMID 29910114. ^ Menzies D, Al Jahdali H, Al Otaibi B (March 2011). "Recent developments in treatment of latent tuberculosis infection". The Indian Journal of Medical Research. 133 (3): 257–66. PMC 3103149. PMID 21441678. ^ Arch G.; III Mainous (2010). Management of Antimicrobials in Infectious Diseases: Impact of Antibiotic Resistance. Totowa, NJ: Humana Press. p. 69. ISBN 978-1-60327-238-4. Archived from the original on 6 September 2015. ^ a b c Karumbi J, Garner P (May 2015). "Directly observed therapy for treating tuberculosis". The Cochrane Database of Systematic Reviews (5): CD003343. doi:10.1002/14651858.CD003343.pub4. PMC 4460720. PMID 26022367. ^ Liu Q, Abba K, Alejandria MM, Sinclair D, Balanag VM, Lansang MA (November 2014). "Reminder systems to improve patient adherence to tuberculosis clinic appointments for diagnosis and treatment". The Cochrane Database of Systematic Reviews (11): CD006594. doi:10.1002/14651858.CD006594.pub3. PMC 4448217. PMID 25403701. ^ O'Brien RJ (June 1994). "Drug-resistant tuberculosis: etiology, management and prevention". Seminars in Respiratory Infections. 9 (2): 104–12. PMID 7973169. ^ Centers for Disease Control and Prevention (CDC) (March 2006). "Emergence of Mycobacterium tuberculosis with extensive resistance to second-line drugs – worldwide, 2000–2004". MMWR. Morbidity and Mortality Weekly Report. 55 (11): 301–05. PMID 16557213. Archived from the original on 22 May 2017. ^ a b Maryn McKenna (12 January 2012). "Totally Resistant TB: Earliest Cases in Italy". Wired. Archived from the original on 14 January 2012. Retrieved 12 January 2012. ^ Migliori GB, De Iaco G, Besozzi G, Centis R, Cirillo DM (May 2007). "First tuberculosis cases in Italy resistant to all tested drugs". Euro Surveillance. 12 (5): E070517.1. PMID 17868596. ^ "Totally Drug-Resistant TB: a WHO consultation on the diagnostic definition and treatment options" (PDF). who.int. World Health Organization. Archived (PDF) from the original on 21 October 2016. Retrieved 25 March 2016. ^ a b c d e f g h i j k l m n o p Paul Kielstra (30 June 2014). Zoe Tabary (ed.). "Ancient enemy, modern imperative – A time for greater action against tuberculosis". Economist Insights. The Economist Group. Archived from the original on 31 July 2014. Retrieved 1 August 2014. ^ Velayati AA, Masjedi MR, Farnia P, Tabarsi P, Ghanavi J, ZiaZarifi AH, Hoffner SE (August 2009). "Emergence of new forms of totally drug-resistant tuberculosis bacilli: super extensively drug-resistant tuberculosis or totally drug-resistant strains in Iran". Chest. 136 (2): 420–25. doi:10.1378/chest.08-2427. PMID 19349380. ^ "Provisional CDC Guidelines for the Use and Safety Monitoring of Bedaquiline Fumarate (Sirturo) for the Treatment of Multidrug-Resistant Tuberculosis". Archived from the original on 4 January 2014. ^ Lambert ML, Hasker E, Van Deun A, Roberfroid D, Boelaert M, Van der Stuyft P (May 2003). "Recurrence in tuberculosis: relapse or reinfection?". The Lancet. Infectious Diseases. 3 (5): 282–87. doi:10.1016/S1473-3099(03)00607-8. PMID 12726976. ^ Wang JY, Lee LN, Lai HC, Hsu HL, Liaw YS, Hsueh PR, Yang PC (July 2007). "Prediction of the tuberculosis reinfection proportion from the local incidence". The Journal of Infectious Diseases. 196 (2): 281–88. doi:10.1086/518898. PMID 17570116. ^ World Health Organization (2009). "The Stop TB Strategy, case reports, treatment outcomes and estimates of TB burden". Global tuberculosis control: epidemiology, strategy, financing. pp. 187–300. ISBN 978-92-4-156380-2. Archived from the original on 19 November 2009. Retrieved 14 November 2009. ^ "Fact Sheets: The Difference Between Latent TB Infection and Active TB Disease". Centers for Disease Control. 20 June 2011. Archived from the original on 4 August 2011. Retrieved 26 July 2011. ^ "Global tuberculosis report 2013". World Health Organization. 2013. Archived from the original on 12 December 2006. ^ a b c "Global Tuberculosis Control 2011" (PDF). World Health Organization. Archived from the original (PDF) on 17 June 2012. Retrieved 15 April 2012. ^ FitzGerald JM, Wang L, Elwood RK (February 2000). "Tuberculosis: 13. Control of the disease among aboriginal people in Canada". Canadian Medical Association Journal. 162 (3): 351–55. PMC 1231016. PMID 10693593. ^ Quah, Stella R.; Carrin, Guy; Buse, Kent; Kristian Heggenhougen (2009). Health Systems Policy, Finance, and Organization. Boston: Academic Press. p. 424. ISBN 978-0-12-375087-7. Archived from the original on 6 September 2015. ^ Anne-Emanuelle Birn (2009). Textbook of International Health: Global Health in a Dynamic World. p. 261. ISBN 978-0-19-988521-3. Archived from the original on 6 September 2015. ^ Centers for Disease Control and Prevention (24 October 2018). "CDC Surveillance Slides 2012 – TB". Archived from the original on 9 November 2013. ^ World Health Organization. "Global Tuberculosis Control Report, 2006 – Annex 1 Profiles of high-burden countries" (PDF). Archived from the original (PDF) on 26 July 2009. Retrieved 13 October 2006. ^ Centers for Disease Control and Prevention (12 September 2006). "2005 Surveillance Slide Set". Archived from the original on 23 November 2006. Retrieved 13 October 2006. ^ Davies, G.; Cerri, S.; Richeldi, L. (17 October 2007). "Rifabutin for treating pulmonary tuberculosis". The Cochrane Database of Systematic Reviews (4): CD005159. doi:10.1002/14651858.CD005159.pub2. ISSN 1469-493X. PMID 17943842. ^ Rothschild BM, Martin LD, Lev G, Bercovier H, Bar-Gal GK, Greenblatt C, Donoghue H, Spigelman M, Brittain D (August 2001). "Mycobacterium tuberculosis complex DNA from an extinct bison dated 17,000 years before the present". Clinical Infectious Diseases. 33 (3): 305–11. doi:10.1086/321886. PMID 11438894. ^ Pearce-Duvet JM (August 2006). "The origin of human pathogens: evaluating the role of agriculture and domestic animals in the evolution of human disease". Biological Reviews of the Cambridge Philosophical Society. 81 (3): 369–82. doi:10.1017/S1464793106007020. PMID 16672105. ^ Comas I, Gagneux S (October 2009). Manchester M (ed.). "The past and future of tuberculosis research". PLoS Pathogens. 5 (10): e1000600. doi:10.1371/journal.ppat.1000600. PMC 2745564. PMID 19855821. ^ Zink AR, Sola C, Reischl U, Grabner W, Rastogi N, Wolf H, Nerlich AG (January 2003). "Characterization of Mycobacterium tuberculosis complex DNAs from Egyptian mummies by spoligotyping". Journal of Clinical Microbiology. 41 (1): 359–67. doi:10.1128/JCM.41.1.359-367.2003. PMC 149558. PMID 12517873. ^ Konomi N, Lebwohl E, Mowbray K, Tattersall I, Zhang D (December 2002). "Detection of mycobacterial DNA in Andean mummies". Journal of Clinical Microbiology. 40 (12): 4738–40. doi:10.1128/JCM.40.12.4738-4740.2002. PMC 154635. PMID 12454182. ^ Sledzik PS, Bellantoni N (June 1994). "Brief communication: bioarcheological and biocultural evidence for the New England vampire folk belief" (PDF). American Journal of Physical Anthropology. 94 (2): 269–74. doi:10.1002/ajpa.1330940210. PMID 8085617. Archived (PDF) from the original on 18 February 2017. ^ Léon Charles Albert Calmette at Who Named It? ^ Trail RR (April 1970). "Richard Morton (1637-1698)". Medical History. 14 (2): 166–74. doi:10.1017/S0025727300015350. PMC 1034037. PMID 4914685. ^ Zur Pathogenie der Impetigines. Auszug aus einer brieflichen Mitteilung an den Herausgeber. [Müller's] Archiv für Anatomie, Physiologie und wissenschaftliche Medicin. 1839, p. 82. ^ Kentucky: Mammoth Cave long on history. Archived 13 August 2006 at the Wayback Machine CNN. 27 February 2004. Accessed 8 October 2006. ^ a b c McCarthy OR (August 2001). "The key to the sanatoria". Journal of the Royal Society of Medicine. 94 (8): 413–17. doi:10.1177/014107680109400813. PMC 1281640. PMID 11461990. ^ "History: World TB Day". Centers for Disease Control and Prevention. United States Department of Health and Human Services. 12 December 2016. Archived from the original on 7 December 2018. Retrieved 23 March 2019. ^ Nobel Foundation. The Nobel Prize in Physiology or Medicine 1905. Archived 10 December 2006 at the Wayback Machine Accessed 7 October 2006. ^ Waddington K (January 2004). "To stamp out 'so terrible a malady': bovine tuberculosis and tuberculin testing in Britain, 1890–1939". Medical History. 48 (1): 29–48. doi:10.1017/S0025727300007043. PMC 546294. PMID 14968644. ^ Bonah C (December 2005). "The 'experimental stable' of the BCG vaccine: safety, efficacy, proof, and standards, 1921–1933". Studies in History and Philosophy of Biological and Biomedical Sciences. 36 (4): 696–721. doi:10.1016/j.shpsc.2005.09.003. PMID 16337557. ^ Comstock GW (September 1994). "The International Tuberculosis Campaign: a pioneering venture in mass vaccination and research". Clinical Infectious Diseases. 19 (3): 528–40. doi:10.1093/clinids/19.3.528. PMID 7811874. ^ editor, Caroline Hannaway (2008). Biomedicine in the twentieth century: practices, policies, and politics. Amsterdam: IOS Press. p. 233. ISBN 978-1-58603-832-8. Archived from the original on 7 September 2015. ^ a b Persson, Sheryl (2010). Smallpox, Syphilis and Salvation: Medical Breakthroughs That Changed the World. ReadHowYouWant.com. p. 141. ISBN 978-1-4587-6712-7. Archived from the original on 6 September 2015. ^ Shields, Thomas (2009). General thoracic surgery (7th ed.). Philadelphia: Wolters Kluwer Health/Lippincott Williams & Wilkins. p. 792. ISBN 978-0-7817-7982-1. Archived from the original on 6 September 2015. ^ Lalloo UG, Naidoo R, Ambaram A (May 2006). "Recent advances in the medical and surgical treatment of multi-drug resistant tuberculosis". Current Opinion in Pulmonary Medicine. 12 (3): 179–85. doi:10.1097/01.mcp.0000219266.27439.52. PMID 16582672. ^ "Frequently asked questions about TB and HIV". World Health Organization. Archived from the original on 8 August 2011. Retrieved 15 April 2012. ^ a b c Lawlor, Clark. "Katherine Byrne, Tuberculosis and the Victorian Literary Imagination". British Society for Literature and Science. Retrieved 11 June 2017. ^ Caldwell, Mark (1988). The Last Crusade. New York: Macmillan. p. 21. ISBN 978-0-689-11810-4. ^ Bunyan, John (1808). The Life and Death of Mr. Badman. London: W. Nicholson. p. 244. Archived from the original on 10 September 2017. Retrieved 28 September 2016 – via Google Books. ^ Byrne, Katherine (2011). Tuberculosis and the Victorian Literary Imagination. Cambridge University Press. ISBN 978-1-107-67280-2. ^ "About Chopin's illness". Icons of Europe. Retrieved 11 June 2017. ^ Vilaplana C (March 2017). "A literary approach to tuberculosis: lessons learned from Anton Chekhov, Franz Kafka, and Katherine Mansfield". International Journal of Infectious Diseases. 56: 283–85. doi:10.1016/j.ijid.2016.12.012. PMID 27993687. ^ Rogal, Samuel J. (1997). A William Somerset Maugham Encyclopedia. Greenwood Publishing. p. 245. ISBN 978-0-313-29916-2. ^ Eschner, Kat. "George Orwell Wrote '1984' While Dying of Tuberculosis". Smithsonian. Retrieved 25 March 2019. ^ "Tuberculosis (whole issue)". Journal of the American Medical Association. 293 (22): cover. 8 June 2005. ^ Lemlein, Rhoda F. (1981). "Influence of Tuberculosis on the Work of Visual Artists: Several Prominent Examples". Leonardo. 14 (2): 114–11. doi:10.2307/1574402. JSTOR 1574402. ^ Wilsey, Ashley M. (May 2012). "'Half in Love with Easeful Death:' Tuberculosis in Literature". Humanities Capstone Projects (PhD Thesis), Pacific University. ^ a b Morens DM (November 2002). "At the deathbed of consumptive art". Emerging Infectious Diseases. 8 (11): 1353–8. doi:10.3201/eid0811.020549. PMC 2738548. PMID 12463180. ^ Thomson, Graeme (1 June 2016). "Van Morrison – 10 of the best". The Guardian. ^ "Tuberculosis Throughout History: The Arts" (PDF). USAID. Retrieved 12 June 2017. ^ a b "Public–Private Partnership Announces Immediate 40 Percent Cost Reduction for Rapid TB Test" (PDF). World Health Organization. 6 August 2012. Archived (PDF) from the original on 29 October 2013. ^ Lawn SD, Nicol MP (September 2011). "Xpert® MTB/RIF assay: development, evaluation and implementation of a new rapid molecular diagnostic for tuberculosis and rifampicin resistance". Future Microbiology. 6 (9): 1067–82. doi:10.2217/fmb.11.84. PMC 3252681. PMID 21958145. ^ "WHO says Cepheid rapid test will transform TB care". Reuters. 8 December 2010. Archived from the original on 11 December 2010. ^ STOPTB (5 April 2013). "The Stop TB Partnership, which operates through a secretariat hosted by the World Health Organization (WHO) in Geneva, Switzerland" (PDF). Archived (PDF) from the original on 24 January 2014. ^ Lienhardt C, Espinal M, Pai M, Maher D, Raviglione MC (November 2011). "What research is needed to stop TB? Introducing the TB Research Movement". PLoS Medicine. 8 (11): e1001135. doi:10.1371/journal.pmed.1001135. PMC 3226454. PMID 22140369. ^ Mishra, G (2013). "Tuberculosis Prescription Practices in Private And Public Sector in India". NJIRM. 4 (2): 71–78. Archived from the original on 10 May 2013. ^ Anurag Bhargava; Lancelot Pinto; Madhukar Pai (2011). "Mismanagement of tuberculosis in India: Causes, consequences, and the way forward". Hypothesis. 9 (1): e7. doi:10.5779/hypothesis.v9i1.214. ^ Amdekar Y (July 2009). "Changes in the management of tuberculosis". Indian Journal of Pediatrics. 76 (7): 739–42. doi:10.1007/s12098-009-0164-4. PMID 19693453. ^ a b c d e f g Courtwright A, Turner AN (July – August 2010). "Tuberculosis and stigmatization: pathways and interventions". Public Health Reports. 125 Suppl 4 (4_suppl): 34–42. doi:10.1177/00333549101250S407. PMC 2882973. PMID 20626191. ^ Mason PH, Roy A, Spillane J, Singh P (March 2016). "Social, Historical and Cultural Dimensions of Tuberculosis". Journal of Biosocial Science. 48 (2): 206–32. doi:10.1017/S0021932015000115. PMID 25997539. ^ a b c Martín Montañés C, Gicquel B (March 2011). "New tuberculosis vaccines". Enfermedades Infecciosas y Microbiologia Clinica. 29 Suppl 1: 57–62. doi:10.1016/S0213-005X(11)70019-2. PMID 21420568. ^ Zhu B, Dockrell HM, Ottenhoff TH, Evans TG, Zhang Y (April 2018). "Tuberculosis vaccines: Opportunities and challenges". Respirology. 23 (4): 359–68. doi:10.1111/resp.13245. PMID 29341430. ^ Ibanga HB, Brookes RH, Hill PC, Owiafe PK, Fletcher HA, Lienhardt C, Hill AV, Adegbola RA, McShane H (August 2006). "Early clinical trials with a new tuberculosis vaccine, MVA85A, in tuberculosis-endemic countries: issues in study design". The Lancet. Infectious Diseases. 6 (8): 522–28. doi:10.1016/S1473-3099(06)70552-7. PMID 16870530. ^ Kaufmann SH (October 2010). "Future vaccination strategies against tuberculosis: thinking outside the box". Immunity. 33 (4): 567–77. doi:10.1016/j.immuni.2010.09.015. PMID 21029966. ^ Webber D.; Kremer M. (2001). "Stimulating Industrial R&D for Neglected Infectious Diseases: Economic Perspectives" (PDF). Bulletin of the World Health Organization. 79 (8): 693–801. Archived (PDF) from the original on 26 September 2007. ^ Barder O.; Kremer M.; Williams H. (2006). "Advance Market Commitments: A Policy to Stimulate Investment in Vaccines for Neglected Diseases". The Economists' Voice. 3 (3). doi:10.2202/1553-3832.1144. Archived from the original on 5 November 2006. ^ Economic, Department of; Affairs, Social (2009). Achieving the global public health agenda: dialogues at the Economic and Social Council. New York: United Nations. p. 103. ISBN 978-92-1-104596-3. Archived from the original on 6 September 2015. ^ Bill and Melinda Gates Foundation Announcement (12 February 2004). "Gates Foundation Commits $82.9 Million to Develop New Tuberculosis Vaccines". Archived from the original on 10 October 2009. ^ Nightingale, Katherine (19 September 2007). "Gates foundation gives US$280 million to fight TB". Archived from the original on 1 December 2008. ^ a b Zumla A, Hafner R, Lienhardt C, Hoelscher M, Nunn A (March 2012). "Advancing the development of tuberculosis therapy". Nature Reviews. Drug Discovery. 11 (3): 171–72. doi:10.1038/nrd3694. PMID 22378254. ^ "J&J Sirturo Wins FDA Approval to Treat Drug-Resistant TB". Bloombeg. 31 December 2012. Archived from the original on 4 January 2013. Retrieved 1 January 2013. ^ a b Avorn J (April 2013). "Approval of a tuberculosis drug based on a paradoxical surrogate measure". JAMA. 309 (13): 1349–50. doi:10.1001/jama.2013.623. PMID 23430122. ^ US Food and Drug Administration. "Briefing Package: NDA 204–384: Sirturo" (PDF). Archived (PDF) from the original on 4 January 2014. ^ Zuckerman, Diana; Jennifer Yttri (January 2013). "Antibiotics: When science and wishful thinking collide". Health Affairs. Archived from the original on 10 February 2013. ^ Shivaprasad HL, Palmieri C (January 2012). "Pathology of mycobacteriosis in birds". The Veterinary Clinics of North America. Exotic Animal Practice. 15 (1): 41–55, v–vi. doi:10.1016/j.cvex.2011.11.004. PMID 22244112. ^ Reavill DR, Schmidt RE (January 2012). "Mycobacterial lesions in fish, amphibians, reptiles, rodents, lagomorphs, and ferrets with reference to animal models". The Veterinary Clinics of North America. Exotic Animal Practice. 15 (1): 25–40, v. doi:10.1016/j.cvex.2011.10.001. PMID 22244111. ^ Mitchell MA (January 2012). "Mycobacterial infections in reptiles". The Veterinary Clinics of North America. Exotic Animal Practice. 15 (1): 101–11, vii. doi:10.1016/j.cvex.2011.10.002. PMID 22244116. ^ Wobeser, Gary A. (2006). Essentials of disease in wild animals (1st ed.). Ames, IO [u.a. ]: Blackwell Publishing. p. 170. ISBN 978-0-8138-0589-4. Archived from the original on 6 September 2015. ^ Ryan TJ, Livingstone PG, Ramsey DS, de Lisle GW, Nugent G, Collins DM, Buddle BM (February 2006). "Advances in understanding disease epidemiology and implications for control and eradication of tuberculosis in livestock: the experience from New Zealand". Veterinary Microbiology. 112 (2–4): 211–19. doi:10.1016/j.vetmic.2005.11.025. PMID 16330161. ^ White PC, Böhm M, Marion G, Hutchings MR (September 2008). "Control of bovine tuberculosis in British livestock: there is no 'silver bullet'" (PDF). Trends in Microbiology. 16 (9): 420–7. CiteSeerX 10.1.1.566.5547. doi:10.1016/j.tim.2008.06.005. PMID 18706814. ^ Ward AI, Judge J, Delahay RJ (January 2010). "Farm husbandry and badger behaviour: opportunities to manage badger to cattle transmission of Mycobacterium bovis?". Preventive Veterinary Medicine. 93 (1): 2–10. doi:10.1016/j.prevetmed.2009.09.014. PMID 19846226. ^ Holt, Nathalia (24 March 2015). "The Infected Elephant in the Room". Slate. Archived from the original on 14 April 2016. Retrieved 5 April 2016. ^ Mikota, Susan K. "A Brief History of TB in Elephants" (PDF). APHIS. US Department of Agriculture. Archived (PDF) from the original on 6 October 2016. Retrieved 5 April 2016. "Tuberculosis (TB)". Centers for Disease Control. 24 October 2018. The Mantoux test or Mendel–Mantoux test is a tool for screening for tuberculosis (TB) and for tuberculosis diagnosis. It is one of the major tuberculin skin tests used around the world, largely replacing multiple-puncture tests such as the tine test. The Heaf test, a form of tine test, was used until 2005 in the UK, when it was replaced by the Mantoux test. The Mantoux test is endorsed by the American Thoracic Society and Centers for Disease Control and Prevention. It was also used in the USSR and is now prevalent in most of the post-Soviet states. Tuberculosis management refers to the medical treatment of the infectious disease tuberculosis (TB). Pyrazinamide is a medication used to treat tuberculosis. 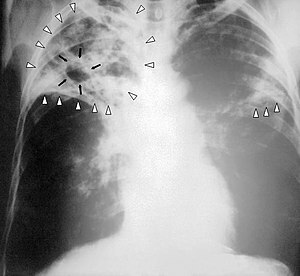 For active tuberculosis, it is often used with rifampicin, isoniazid, and either streptomycin or ethambutol. It is not generally recommended for the treatment of latent tuberculosis. It is taken by mouth. Multi-drug-resistant tuberculosis (MDR-TB) is a form of tuberculosis (TB) infection caused by bacteria that are resistant to treatment with at least two of the most powerful first-line anti-TB medications (drugs), isoniazid and rifampin. Some forms of TB are also resistant to second-line medications, and are called extensively drug-resistant TB (XDR-TB). In India, each year, approx. 220,000 deaths are reported due to Tuberculosis. Between 2006 and 2014, the disease cost Indian economy USD 340 billion. This public health problem is the world's largest tuberculosis epidemic. India bears a disproportionately large burden of the world's tuberculosis rates, as it continues to be the biggest health problem in India. It remains one of the largest on India's health and wellness scale. India is the highest TB burden country with World Health Organization (WHO) statistics for 2011 giving an estimated incidence figure of 2.2 million cases of TB for India out of a global incidence of 9.6 million cases. Compare India to Canada, where there are about 1,600 new cases of TB every year. Citing studies of TB-drug sales, the government now suggests the total went from being 2.2 million to 2.6 million people nationwide. On March 24, 2019, TB Day, the Ministry of Health & Family Welfare of India notified that 2.15 million new tuberculosis patients has discovered only in 2018. A list of antibiotic resistant bacteria is provided below. These bacteria have shown antibiotic resistance.